“Everybody knows about the Cooper Killings – the Bel Air home invasion that rocked the nation. You can't help but get sucked into Conspiracy Girl by Sarah Alderson right away. The story starts off with a bang and takes off like a rocket. Hackers, murderers, diamonds. Conspiracy Girl has everything you need for the makings of a great conspiracy... and and excellent read! Finn is a master hacker who is not only a genius almost-FBI agent, but knows how to use his hacking skills to get the things he wants. Like say, "winning" a year's supply of Snapple! He's also the only one who can help Nic out when an old friend from the FBI delivers her to his apartment one night. It's up to Finn and Nic to figure out not only who's out I get her, but also the real reason her Mom and stepsister were killed a a few years earlier. Nic is a strong young woman, but has been through so much that you can just see it on her. After surviving a home invasion that ended with the deaths of her mother and stepsister, Nic has led a hard life. She's developed OCD, has panic attacks and flashbacks whenever the attack is brought to mind. And now, years later, history is repeating itself on the worst possible way. The first time she was alone, a kid with no way to protect those she loved. But this time around she has Finn, even if he's the last person she ever would have thought she'd want helping her. The mystery behind Nic's attackers is a good one and kept me intrigued. I read Conspiracy Girl in one sitting because I just couldn't put it down. It was full of non-stop action with just the right amount of romance to pull you in. 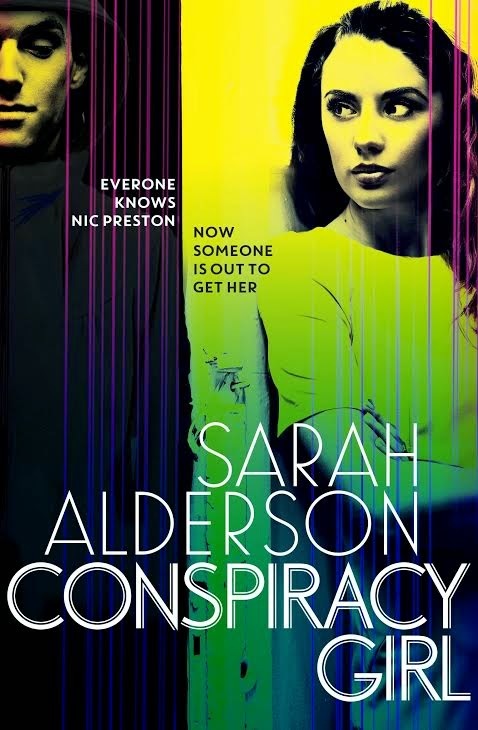 I highly recommend Conspiracy Girl to fans of Sarah Alderson's previous books and to anyone looking for a great action-packed thriller! For more about Conspiracy Girl check out these sites! Its very nice post! this is great review wonderful novel thanks for sharing! best safety institute in chennai|Industrial safety engineering course in chennai| fire and safety course training chennai|iosh ms course syllabus|nebosh certificate course in Chennaikeep posting!